I’ve attended every Born-Free since BF3, which happens to be the first at Oak Canyon Ranch. There isn't much I can say about Born-Free that hasn’t already been said. So I’ll go ahead and state the obvious, Grant and Mike did it again, pulling off the premier vintage chopper show. It was a two-day party with good friends and great bikes. This year, Vans & Jokers Skate Shop provided a halfpipe, and there was a lot of grinding, and air being had. Vendors came from all over the world bringing their best goods, as they do every year. The beer was plentiful, and the grub was quick, easy, and good. Johnny Branch's full scale rendition of a model produced in the 80's by Revell. It’s easy for me to love this show. First, it reminds me of the old MMA Runs that used to happen around SoCal. 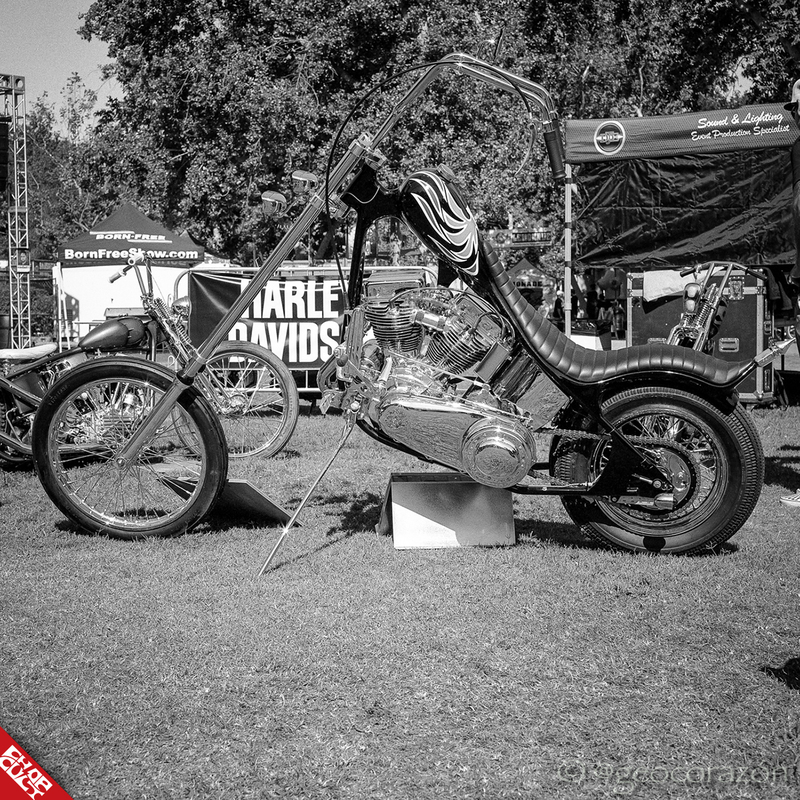 Or the Inter*Show All American Motorcycle Shows that used to happen just up the road at Irvine Lake. Second, the show is outside, as any decent motorcycle show/run should be. Third, everyone checks their attitudes at the door. Another must of an outstanding motorcycle show/run. Fourth, it’s fun, plain and simple. Fifth, and most importantly, this show is about the builders doing their thing. 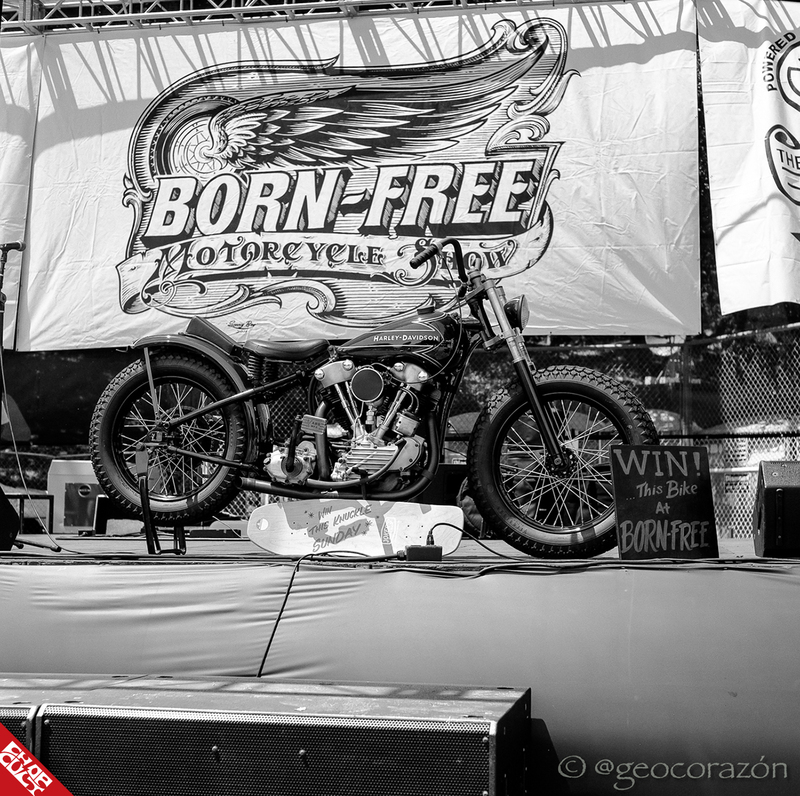 Born-Free is about some of the world’s most gifted builders engineering, manufacturing, machining, welding, doing fab work, and then using their artistic eye to put a motorcycle together for this one weekend. 1942 Knucklehead built by Jeff Leighton. The giveaway bikes are what a lot of people attend the show for. This year all winners were accounted for! 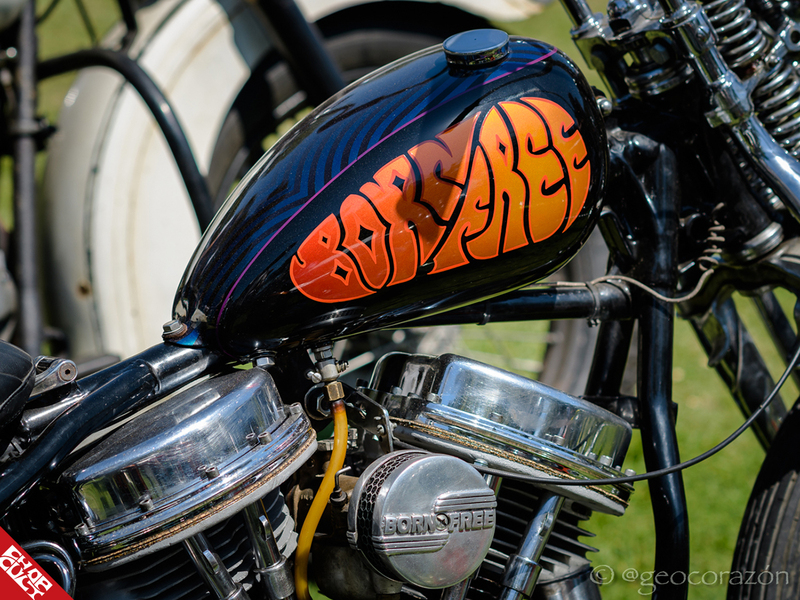 The Panhead went to an Aussie back at home in the land down under. The Knuck went to Max Schaaf. That is what Born-Free is all about. Born-Free 10 is scheduled for June 23-24, 2018. Be sure to follow Born-Free on Instagram and Facebook for updates. See you there!